My hobbies and interests have fluctuated quite a bit over the years, but my love of technology and fun little gadgets is something that I’ve never been able to shake. I suppose it’s a guy thing. Is there such thing as a man who doesn’t like to get his hands on the latest and greatest tech toys the industry has to offer? Possibly…but I’ve never met him. Photography is one other hobby of mine that has never lost it’s luster. Oddly enough, It’s somewhat of a recent thing for me, as that love of photography didn’t blossom until digital cameras started appearing on the scene in the late 1990’s. Before that camera gear was too big, bulky, and expensive to hold my interest and I just couldn’t stomach the thought of spending so much money on film and processing. Struggling to find ways to archive the prints and negatives was also a problem, and I really didn’t have any desire to deal with it. But I was lured in like a mosquito to a bug light as soon as cameras went digital. Suddenly the creative possibilities became endless, photo organization became simple, and by late 1999 resistance became futile and I spent all my money on a beautiful little Fuji MX2900. That camera ended up being a total piece of junk that took horrible pictures, but it was an amazing little tech gadget which made me fall in love with photography for the first time in my life. Yep, selfies existed way back in 1999. 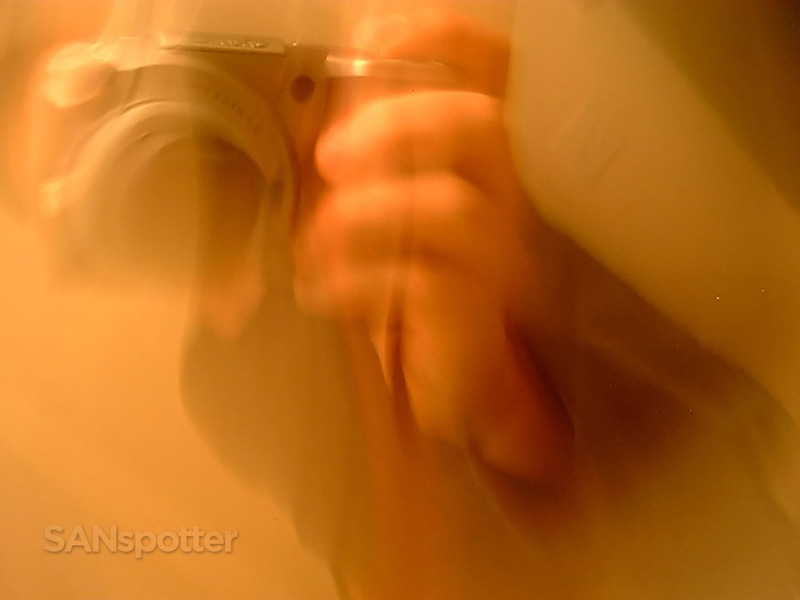 Here I am with my then-new Fuji MX2900 trying to be artistic with a blurry self portrait. Fast forward 17 years (God, has it really been that long?) 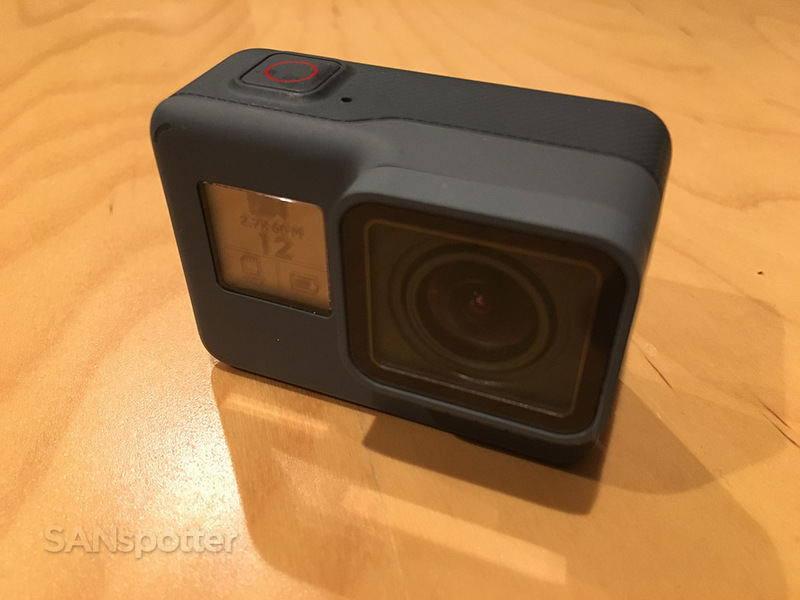 and I’ve given up my faithful point-and-shoot cameras in favor of the tiny but versatile Hero 5 by GoPro. It’s the most compact pocket-size camera I’ve ever used, and the things that it can do just blows me away every time that I pick it up. It’s a technology powerhouse in a tiny package, and the first thing I throw into my bag when I take off on another adventure. It’s a bit larger than it’s predecessor(s), but it will still fit into my pants pockets with ease – even if I’m wearing skinny jeans. 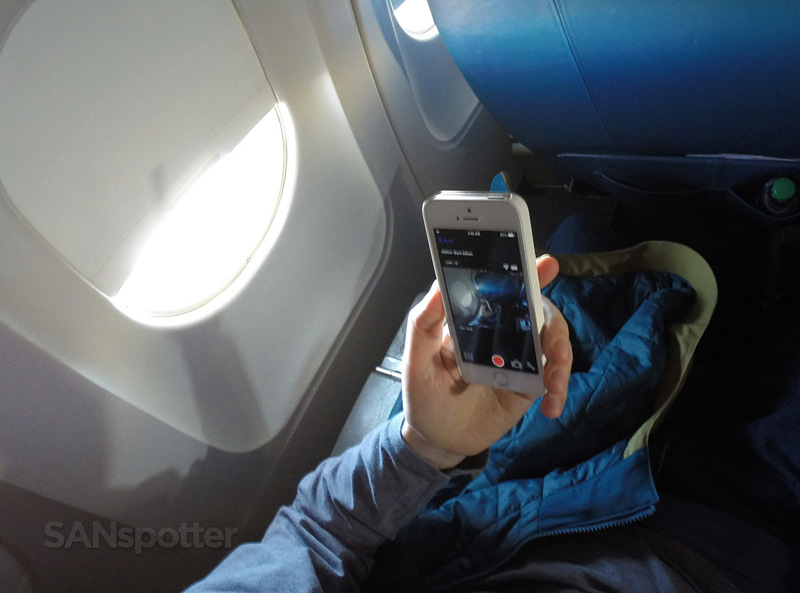 This is a huge plus for me since I take an obscene amount of pictures for my trip reports and I need quick access to my camera for the entire length of the flight. How horrible it would be to miss getting a pic of the dessert cart rolling down the aisles on a international business class flight? I can’t take that chance. 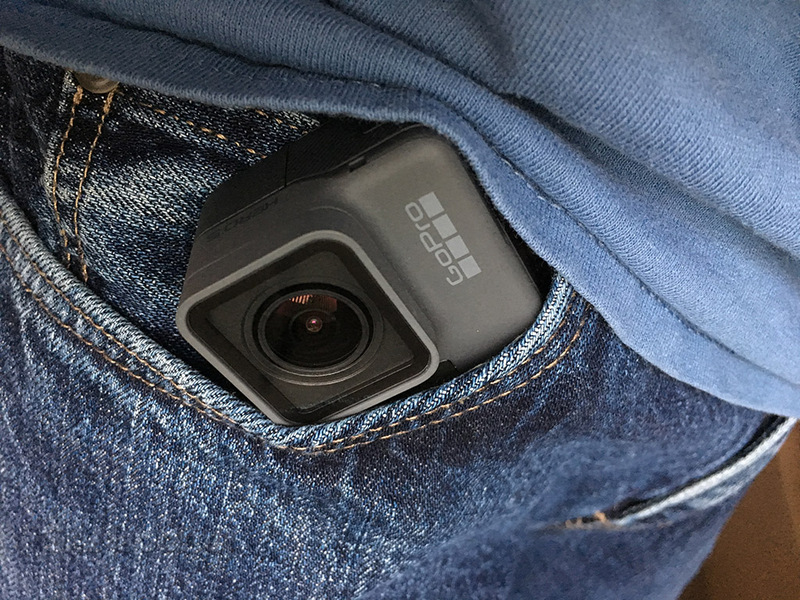 The GoPro Hero 5 fits in the pockets of my jeans quite well. 2). Built in touch-based LCD screen. I had a GoPro Hero 3 Black before I upgraded to the Hero 5, and not having a way to preview what I was looking at while taking a pic was a massive annoyance. I did end up purchasing an attachable LCD screen for it, but it made the camera almost too thick to fit into small pockets. The built-in LCD screen on the Hero 5 is very thin, large and bright, very responsive, and a great way to configure the settings. 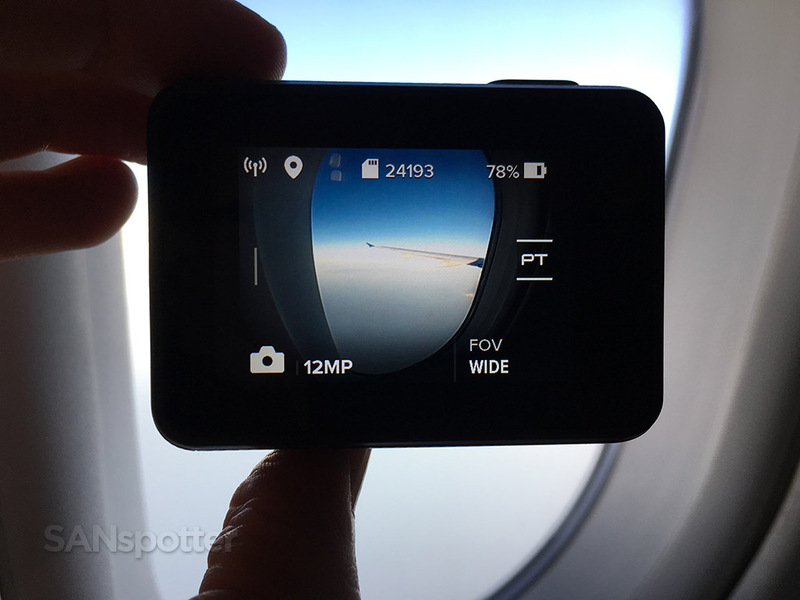 The LCD screen on the GoPro Hero 5 is very good. I’d be lost without it! 3). It looks like a toy. I love the fact that it looks like a toy. Inconspicuous-looking cameras are crucial for getting good pics for my trip reports! 4). I can control it from my mobile device. I can’t help but to feel a bit creative when trying to find ways to kill time between flights, and being able to control my Hero 5 from my iPhone (with the free Capture app) is very helpful when trying to get that all-important SANspotter airport selfie for my trip reports. I like to include myself in my pics from time to time to add some personality to my content, and being able to step away from the Hero 5, see a live preview of what the camera is seeing right on my iPhone, and then being able to press the shutter button remotely is every narccist’s dream come true. 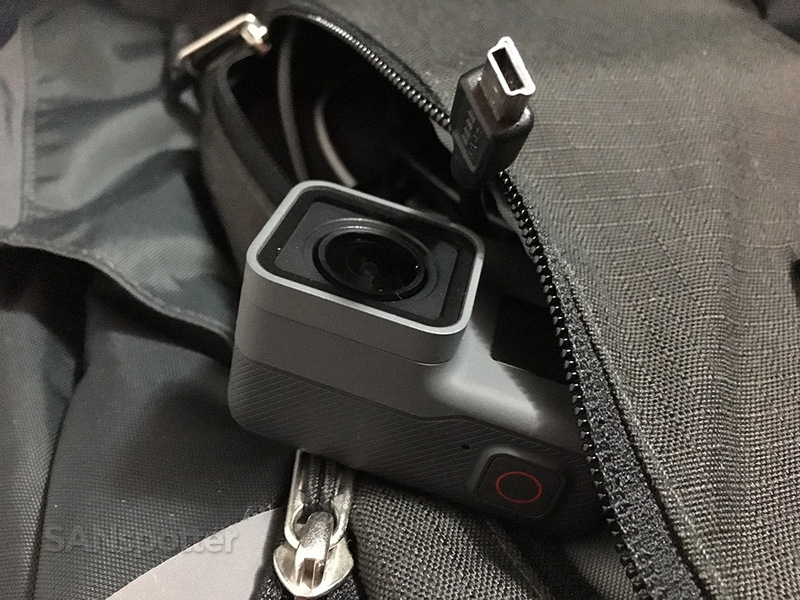 The GoPro Hero 5 is waterproof right out of the package without the need for a separate case, and it’s also quite strong. 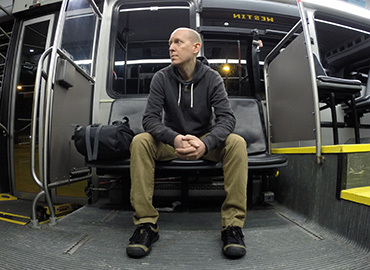 I’m not easy on my gear when I’m traveling, and everything I have on me gets banged around quite a bit as I fight my way through busy airport terminals, taxicabs, and wherever else I need to be in a hurry. Stuff gets dropped by accident all the time, and my Hero 5 has been dropped and thrown around more than I care to admit. But it’s handled the abuse like a champ, all without a scratch as a matter of fact. I’ve tossed it unprotected in pockets filled with loose keys and coins, it’s been dropped on hard tile floors, and I turn it off and on countless times during a single flight. It just keeps going and going and it sill looks brand new. The GoPro Hero 5 is extremely tough, and I don’t even think twice about throwing it in my backpack along with all my other travel gear. Other handy features such as GPS location tagging and image stabilization are worth noting as well. I make good use of both those features every time I use this device. There are a lot of other small action cameras on the market, but quite frankly I don’t have a compelling reason (other than nerdy curiosity) to try anything else. The GoPro Hero 5 does everything I need it to do very well and I’m satisfied with it’s list of features. The biggest downside (for me, anyway) is the price. 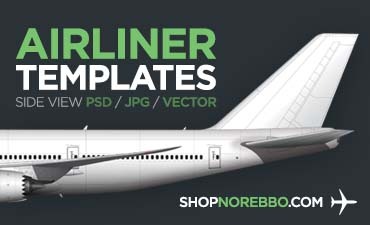 At $499US, it’s not cheap. But the features, quality, and size make up for the cost and it’s easy for me to declare it as a travel gadget I can’t live without.